We report two women who presented with a recurrent, mildly painful, bluish nodule in the umbilicus. Both patients complained of local tenderness and occasional bleeding that increased during menstruation. Neither patient had had previous pelvic surgery. Excision of the lesions revealed a primary umbilical endometriosis; in one case, a simultaneous laparoscopy showed a pelvic endometriosis. 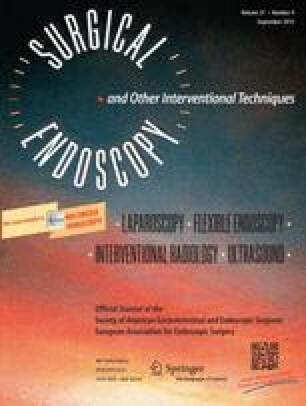 We review the current literature and discuss the possible etiopathogenesis and when a laparoscopy is indicated to diagnose a concomitant pelvic endometriosis. Umbilical endometriosis is a very rare disease but should be considered in the differential diagnosis of umbilical lesions.